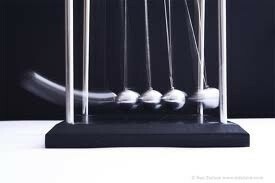 Kinetic energy is when something move just like these. These circles are moving witch is called Kinetic energy ! When it's not moving its call Potincail. Potincial energy is something that not moves . This car was moving which is call Kinetic . 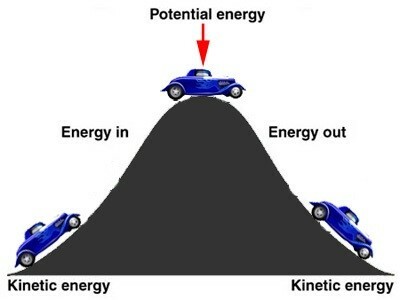 Then the car stops , which is Potincail energy! The first picture is a yoyo that is not moving . The other picture has. A string on a yoyo that is moving . 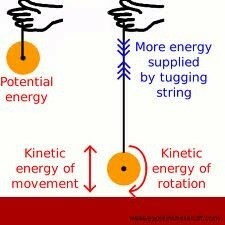 The yoyo has the rotation which is tugging the string and it has more energy.